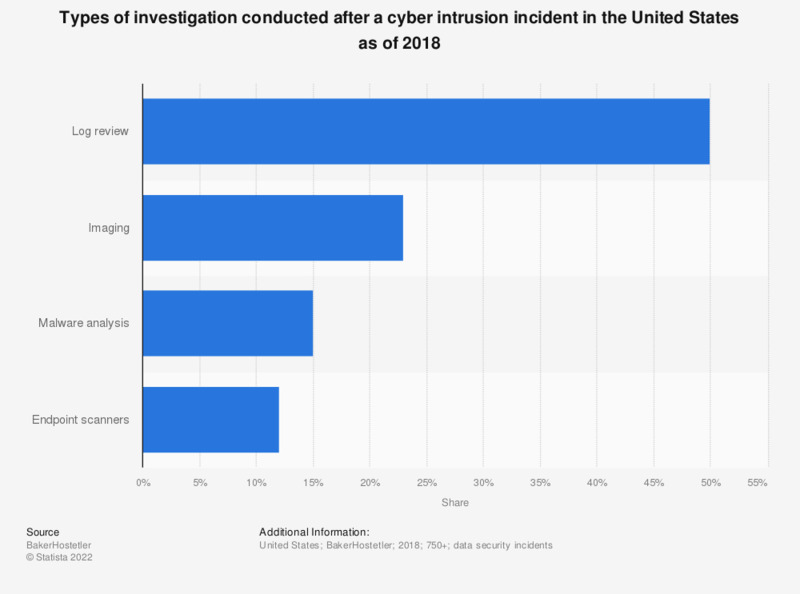 This statistic presents the most common types of investigation conducted after a cyber intrusion incident in the United States in 2017. During the measured period, the most frequently used tool was log review with a 87 percent usage rate. Malware analysis was used in 30 percent of investigations.